Curcumin is the major bioactive component found in the roots of Turmeric (Curcuma longa), a plant belonging to the ginger family. Turmeric has been used as a coloring and flavoring agent in South Asian cuisines for centuries, and it has also been recommended by traditional Ayurvedic herbalists for thousands of years. 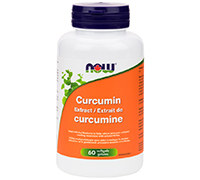 Curcumin has been extensively researched by modern scientists for its various biological activities. Other Ingredients: Sunflower Oil, Softgel Capsule (gelatin, glycerin, water, sorbitol, caramel color), Beeswax and Rosemary Extract (Leaf).